When a video of Su in a nightclub in Magalouf goes viral it destroys everything adoptive mother Ruth, also a Sheriff in Doon, has worked for. The price paid by the family is too high to fathom and the resulting desire for revenge mounts as Su refuses to come home and Ruth is determined to fight for her and everything they have lost. Ultimately it’s a question of what defines mother and daughter. I wasn’t quite sure what to expect when I read the description of this book but it had such an intriguing premise and interesting implications legally that I was hooked. I think at the heart of this novel is the story about bonds of a family and what each member means to the other. I could not put this book down and read it in one sitting, a definite must-read. 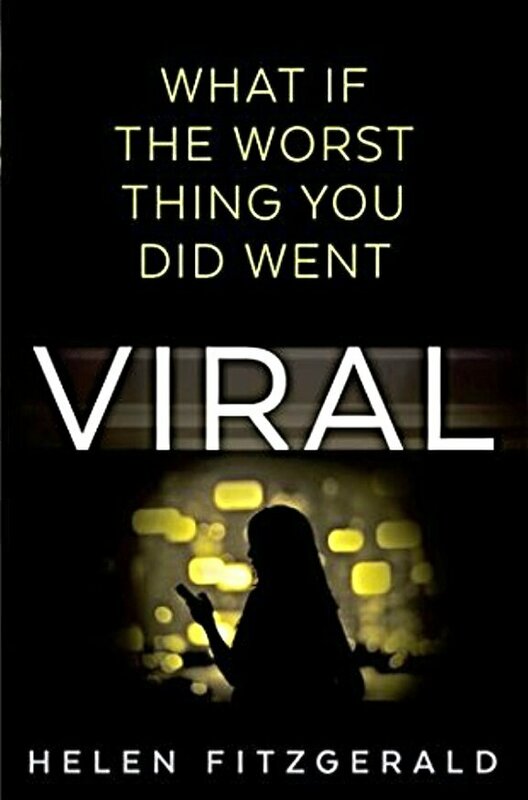 Viral is available for pre-order and will be released on 2nd February 2016. What an intriguing book. As a reader interested in adoption issues, this one caught my eye. Thanks for the review! I can’t recommend this enough especially if you enjoy reading about adoption issues. That reminds me of an incident in high school. Word got out that a certain boy had been caught doing a certain shameful thing, and the entire student body turned out to mock and jeer at him. Later it was learned that the initial report wasn’t true. Your personal life going viral is an unsettling thought. This book was quite chilling in the way this one video uploaded to YouTube impacted on the family and their future. It made me quite anxious just reading it.